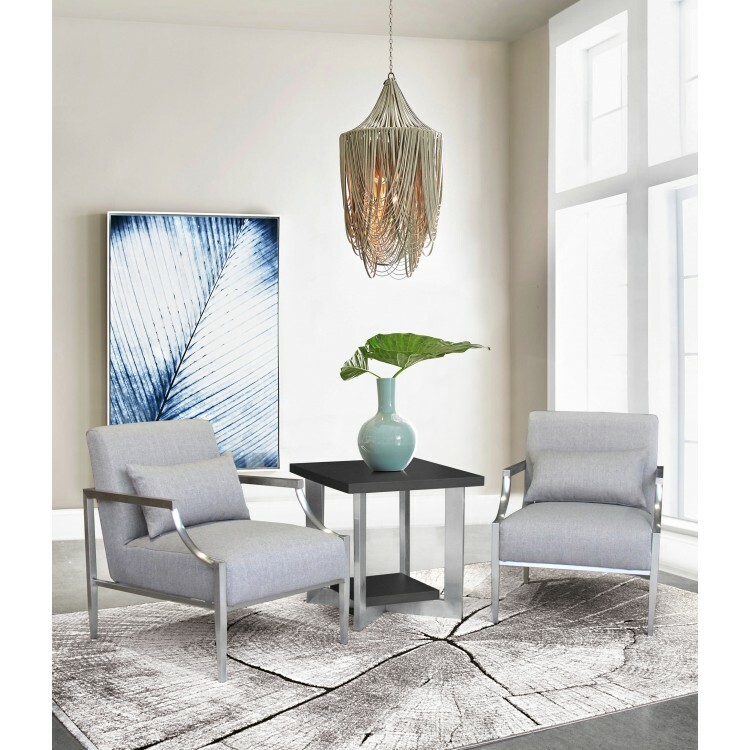 The Armen Living Essence contemporary accent chair is a wonderful piece for the modern household. 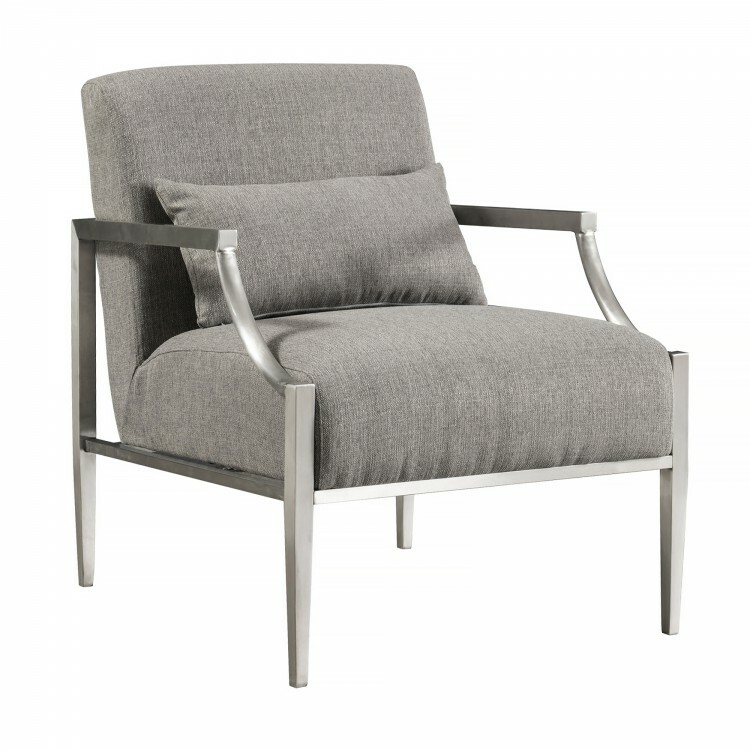 This beautiful accent chair features a brilliant polished stainless steel finish frame that assures durability without compromising on style. 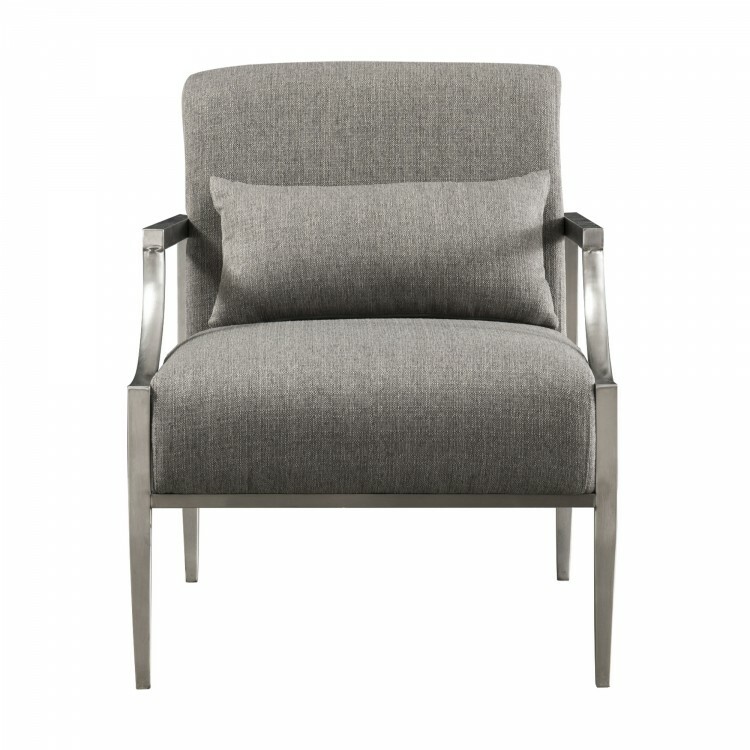 Boasting a four leg design and curved arms, the Essence's practical, yet stylish appearance makes it a standout product. The Essence's seat and back are foam padded and the included throw pillow adds enhanced comfort while serving as a beautiful accessory. Though perfect of the living room, the Essence can blend well with the decor in just about any room of the house. The Essence is richly upholstered in a grey fabric. Product Dimensions: 26.5"W x 31.5"D x 33.5"H SH: 18"